Your smile is as important to us as it is to you, we take pride in the quality and appearance of our work. We understand that getting dental work done can be intimidating, that is why we offer sedation dentistry. We offer a full line of restorative dentistry to take care of what ever life throws at you. Whether you’re in need of emergency treatment, a sedation appointment or a full smile makeover, our expert dental team will help you achieve your goals! Maple Place Dental is a stylish and modern cosmetic dental practice conveniently located minutes from Maple Ridge's downtown core. 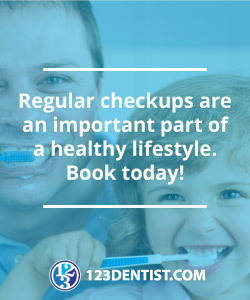 Are you looking for premium dental care you can trust? Maple Place Dental Centre offers exceptional treatment with Laser Dentistry, Hospital Grade Sterilization and Sedation for adults and children. We also offer a wide range of cosmetic dentistry solutions like Veneers and Teeth Whitening treatments. For a world class smile and quality dental care right here in Maple Ridge, visit us at Maple Place Dental Centre today. No matter your needs or age, our experienced team can make your smile and your confidence brighter and stronger than ever.